Brunia is a small genus of flowering shrubs known for their unusual flowers. These evergreen shrubs can grow upright up to 2 meters and produce dark-green foliage that resembles the foliage of a pine tree. Tiny silvery-white or pink flowers appear in tight and fluffy pompom-like flower heads. Attractive flowers heads of Brunia are produced from autumn to winter in abundance making them stand out in a garden. Tiny flowers start blooming after the first winter rain. Brunia is usually a slow growing shrub that requires bright sunlight and moderate watering in a well-drained soil. 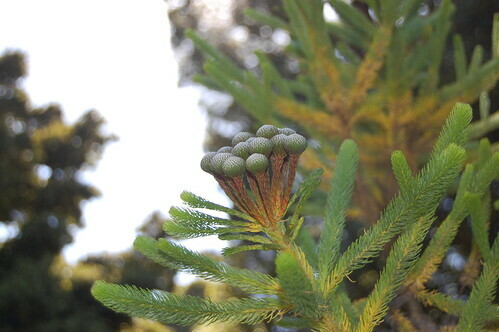 Most species of Brunia are sensitive to frost and require protection from long spell of frost and cold. You can propagate Brunia from cuttings planted in autumn or spring. You can also grow Brunia from seeds planted in autumn. Brunia makes a nice plant for filling empty spaces in landscapes. Flowers are usually used in fresh and dry flower arrangements. 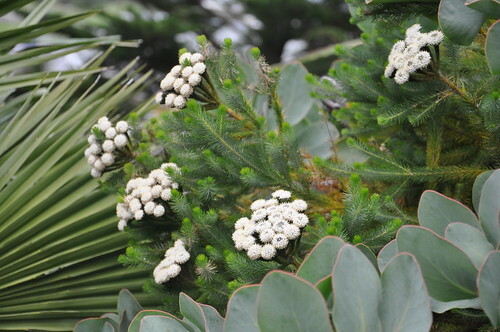 Popular species of Brunia include Brunia nodiflora (known for its pink flower heads), Brunia stokoei (velvety red flowers), Brunia albiflora (white flowers), and B. neglecta (silvery-white flower heads).